Does your male line Haplogroup E originate in Africa but your ancestors never appear in the numerous slave records? Could their ancestors have came with Lucas deAyllon in 1526 as one of the hundred or so slaves he brought with him? 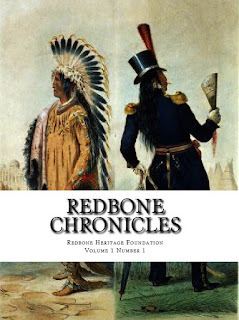 Do family stories tell of your Native American ancestor yet you can find no record? Were they one of the 450 'men, women, and children' who came with Lucas deAyllon? Of the 500-600 people who came with him only 150 returned. Those that survived in 1526 to join the Native Americans as well as the hundreds of women taken by Hernadez deSoto and Don Pardo before 1600 were Native Americans who carried European DNA BEFORE the Jamestown Settlement. 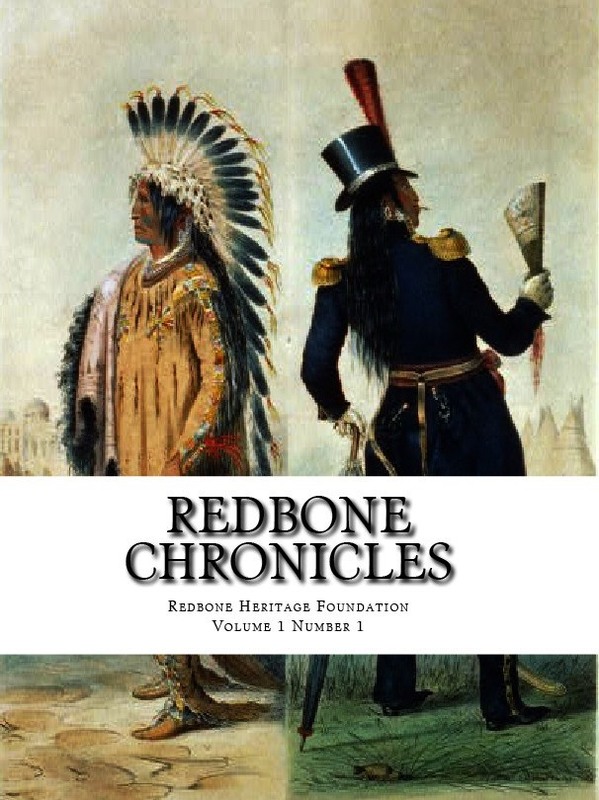 In an effort to document and preserve the history, genealogy and origins of the people known as Redbone, the Redbone Heritage Foundation began publishing a collection of conference presentations, articles and essays and genealogies in the Redbone Chronicles, edited by Don C. Marler and Gary "Mishiho" Gabehart We have combined those here and updated the January 2007 issues. This issue includes some never before released conference presentations, articles and essays by descendants, members, researchers and scholars. Including pictures, genealogy and relatives of progenitor fore families, and member submitted DNA results. Contributing authors : James Nickens, M.D., Ethnic and Geographic Origins of the Melungeons part 1; Alvie Walts, Southern Mestee Communities; Govinda Sanyal, Yamassee/Seminole Ethnocide; Stacy Webb, Redbones and Redbone Communities including the Natchez Trace, Specutie and The Burgess Survey; Sammy Tippit, People Called Redbones; Don Marler, Grave Houses, a Review, Book Reviews; The Historic Ten Mile Redbone Riot; Joanne Pezzullo, Carolina Tribes & Pre-Contact ; Scott "Hoodalee" Sewell, The Buckskin Curtain of Indian Country; Redbone Heritage Foundation members submitted genealogy of the Redbone Progenitor Families: Hundreds of Redbone family connections concentrated around one marriage certificate between the Doyle & Drake; Contributing genealogist and family historians Marilyn Baggett Kobliaka & Verna Thompson, The Thompson Family; Examining population "y" , a mysterious Amazonian Indian match to a population migration of Australasian origins.